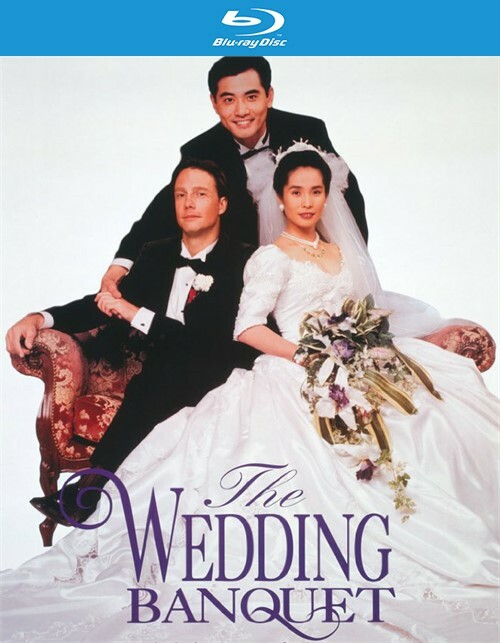 This hysterical comedy of manners and clashing cultures tells the story of a wedding thrown by the joyous parents of a closeted and quite coupled Chinese-American man - who is planning to marry a woman only so that she can get a green card. Nominated for an Oscar for Best Foreign Film tells of a gay Chinese man living in NYC and the arranged marriage that's getting in the way of his real relationship. The delightful characters are the main attraction in this sexual and cultural comedy that - made in 1993 - could have exploited gay stereotypes, but turned out to be an affirmative, old fashioned gay rom-com classic! Wai-Tung (Winston Chao) is in his late 20s and is a young gay Chinese man from Taiwan who lives with his American companion Simon (Mitchell Lichtenstein) in a comfortable brownstone in New York, and manages some loft buildings he has purchased. All is well aside for the letters and phone calls from his parents, who wonder when he is going to marry a nice Chinese girl and present them with a grandchild. They have no idea that he is gay and he can't bring himself to tell them. One day his friend Simon devises an ingenious plan to make everyone happy. A young Chinese woman, Wei-Wei (May Chin) lives in one of Wai-Tung's lofts. She is an artist who cannot pay her rent and in despair she plans to return to China. She also likes Wai-Tung very much. Simon suggests that Wai-Tung marry Wei-Wei and get her with a green card to allow her to stay in America and this will also placate his parents in Taiwan. Wai-Tung agrees to the scheme and Wei-Wei is persuaded to go along. Then everything goes away Wai-Tung's parents announce they will come from Taiwan for the wedding. "The Wedding Banquet" becomes a comedy of misunderstandings and deceptions yet it is even moving. Ang Lee, does everything low-key way and the characters have a curious fatalism about them, as if they are resigned to the worst. There are moments of obvious comedy and there are more moments when the film deals simply and directly with the feelings and fears of its characters. For Wei-Wei, the pretend marriage with Wai-Tung makes good sense, but it is also painful, because she has a crush on him and would like to be married to him for real. For Wai-Tung, the whole charade is uncomfortable, because it is dishonest. For Simon what begins as a lark ends painfully, as he hangs around the outskirts of the wedding, his presence never quite explained. The father and mother sense a certain lack of sincerity between the loving couple and a wedding by a justice of the peace does not jive with their vision of a suitable ceremony. And then an old friend of the father's materializes who is now a successful restaurant owner, and offers to stage a proper Chinese wedding banquet. 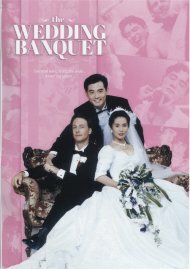 The banquet is the movie's climax as booze and tradition and deception and expectation but ultimately lead to happiness. but the underlying validity of the story makes it work. film was refreshingly original in its day and helped establish Ang Lee in Hollywood by now but almost 25 years later we see that even though back it was a noble effort that unfortunately today seems filled with amateurism everywhere. It certainly was excellent entertainment on more than one level.